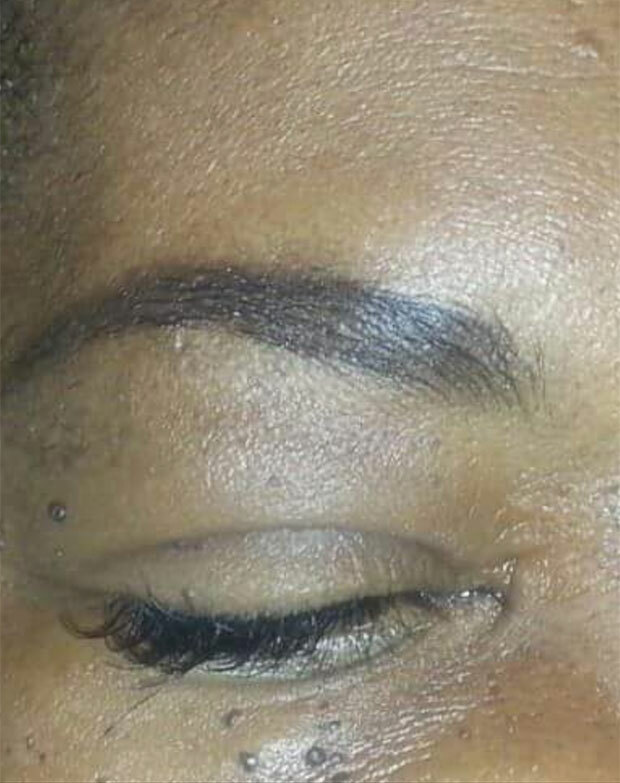 When you consider the cost of daily makeup in terms of time and expense, many realize that permanent makeup can actually save you time and money. There is a one time expense, and of course for this you want to hire the best not the cheapest, but then you have a lifetime of satisfaction from the benefits, and nothing further is involved other than an occasional color refresher for fading over the years. Consultations: A consultation for permanent makeup or para-medical tattooing is recommended before scheduling a procedure appointment. Consultations are generally 30 minutes and informational only. 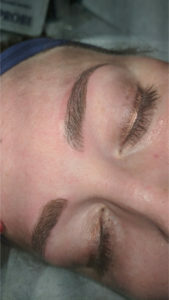 A consultation for permanent makeup does not include any makeup designing. More than one person may attend a consultation, so feel free to bring a friend! If you must reschedule a consultation, we kindly ask that you provide at least 48 hours notice. The fee for a consultation is $50.00, but the full amount will be applied as a credit towards any service booked. 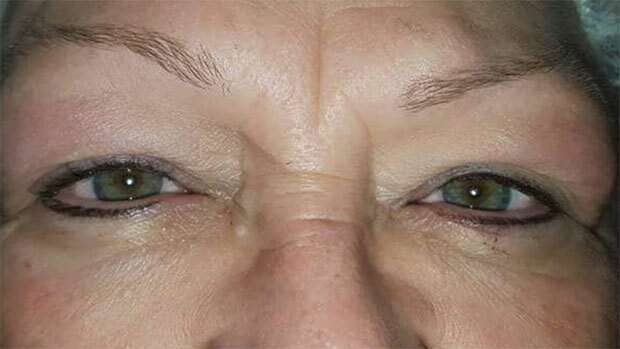 The cost of treatments includes one FREE touch-up within 4 to 6 weeks of initial procedure. We strongly suggest that all clients schedule a follow-up appointment. 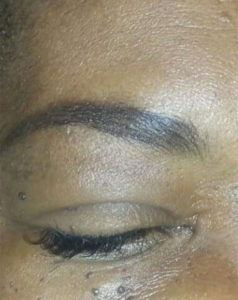 The touch-up appointment is intended to fill in any areas that may have been discolored during healing process. Final results cannot be determined until follow-up touch-up appointment is completed. Pigment retention depends on skin type, age, aftercare, sun exposure and other factors. Annual touch-ups are recommended to prevent natural fading. one follow-up visit if any touch-up work is needed. Cold Sores: If you are prone to getting cold sores and therefore need medication for the prevention of cold sores for a permanent lip color procedure, you must obtain that from your private physician or dentist prior to your appointment day. You must provide proof of the prescription upon booking. If you cannot do your lip procedure because you forgot to prepare then your appointment will be rescheduled and a rescheduling fee charged. Do not apply eye makeup before or after procedure. Do not consume alcoholic/caffeinated beverages on day of procedure. Do not take any non-vital medications that may thin blood 24 hours before procedure. Including certain vitamins and supplements. 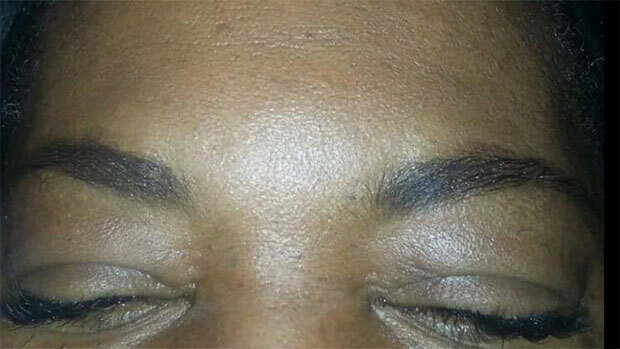 Do not expose eyebrows to water or any products for ideally two days post procedure. Use mild soap to cleanse area for the first 7-10 days reapplying ointment provided with light layer before showering. Avoid strenuous exercise for 3 days after procedure, after three days apply a thin layer of ointment before working out. DO NOT touch, rub, pick or scratch the treated area. Hands may contain bacteria and create an infection. Use clean cotton-swab to apply ointment to treated area 5 times daily for the first 7-10 days. Picking can cause scaring. Avoid contact with animals, gardening, sun, sauna, Jacuzzi, chlorine pools, ocean & steam room. Wear a hat to shield area for at least the first 7-10 days. ALWAYS use TOTAL SUN BLOCK on area during healing process to reserve color pigmentation. 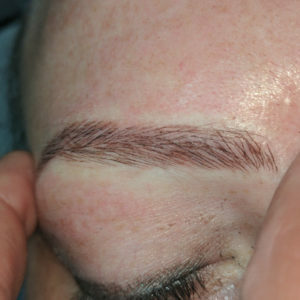 For the first 2 days after the procedure apply a thin layer of Vaseline to the area before working out. Due to Skin Frenzy having a very structured schedule, we require a procedure deposit for all booked appointments which will be subtracted from the procedure price. If the deposit is not received upon time of booking or within 7 days, your appointment will be cancelled without notice. We understand that unforeseen circumstances may arise. Please understand that because permanent makeup appointments can range from 2-5 hours, such changes greatly impact your permanent makeup artist and other clients. We ask that you give us at least 48 hour notice for rescheduling or cancellation of an appointment. Anything within 48 hours will result in forfeiting your deposit and a new deposit must be made for future appointments. If a client does not show up for their appointment, not only is their deposit forfeit but they must also pay for the procedure in full when rebooking. There are no exceptions. Gift Certificates cannot be exchanged for cash. All retail cosmetics or skin care products cannot be returned if opened. We accept Visa, Master Card, cash or personal check. Contact our office at 602-258-9099 or send us an email here.